Nawaz's son-in-law Capt (retd) Safdar was also given a one-year sentence. While Sharif was fined 8 million pounds ($10 million), his daughter Maryam was handed down a 2 million pound ($2.6 million) fine. 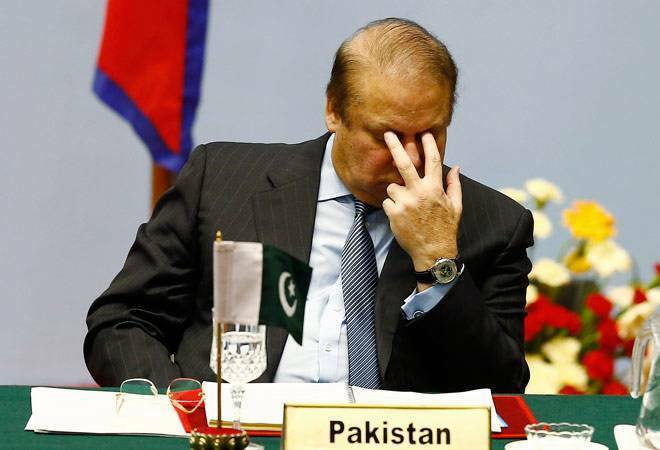 An accountability court in Pakistan on Friday sentenced ousted prime minister Nawaz Sharif to 10 years in prison in one of the three corruption cases against him in the high-profile Panama Papers scandal. The court delivered the verdict after postponing it four times in the Avenfield corruption case, which pertains to the ownership of four flats in the posh Avenfield House in London. Sharif, 68, is in London attending to his wife Kulsoom Nawaz, who was diagnosed with throat cancer in 2017. Accountability court judge Mohammad Bashir pronounced the verdict behind closed doors. Sharif was sentenced to 10 years in prison in the Avenfield properties case, while his daughter Maryam was sentenced to seven years. Nawaz's son-in-law Capt (retd) Safdar was given a one-year sentence. While Sharif was fined 8 million pounds ($10 million), his daughter Maryam was handed down a 2 million pound ($2.6 million) fine. The judgement runs in over 100 pages. The ruling came weeks before the general elections in Pakistan on July 25. Authorities had deployed a large number of security personnel in and around the Federal Judicial Complex, where the court is located. The roads leading to the complex have also been closed to the general traffic. Three-time Prime Minister Sharif resigned as Pakistan prime minister last year after the Supreme Court disqualified him from holding public office and ruled that graft cases be filed against the beleaguered leader and his children over the Panama Papers scandal. Sharif and his daughter Maryam have made several trips back and forth from London to attend the hearings and attend to the ailing Kulsoom. The Avenfield case was among the three corruption cases filed against the former premier and his children by the National Accountability Bureau (NAB) on the Supreme Court's orders in the Panama Papers case, which disqualified Sharif. Apart from Sharif, Maryam and son-in-law Capt (retd) Safdar are accused in the case. Sharif's two sons -- Hasan and Hussain -- also wanted in the case, have been declared proclaimed offenders owing to their no-show.